Well summer is certainly here with very warm temperatures and of course the hordes of annoying insects. 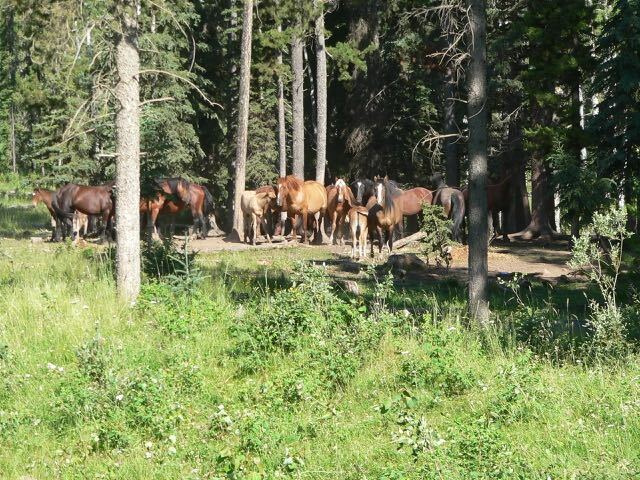 At this time of the year the bands of horses tend to congregate in areas where they can find some relief from the bugs and heat. It will be an open grove of trees where the visibility is good, yet they can be shaded from the sun and the branches help in keeping the horseflies off of them. We call this treeing up. 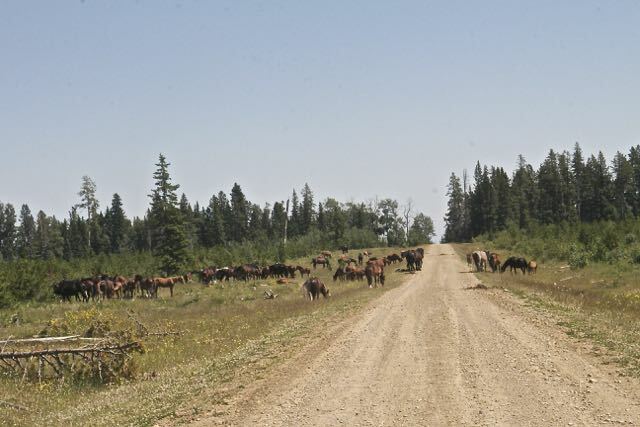 It can also be an open area on top of a ridge or along a logging road where the wind will keep them a little cooler and also blow away some of the insects. 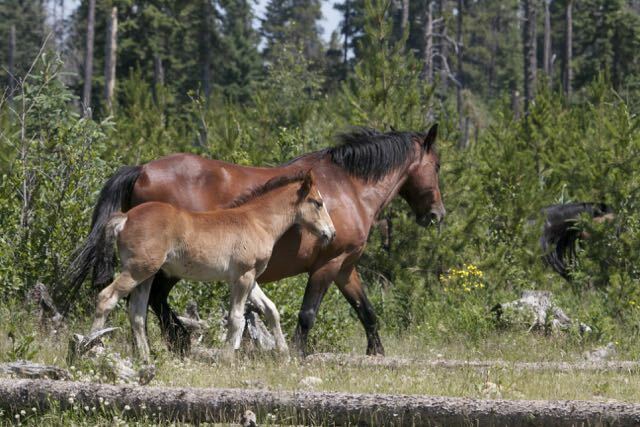 In these areas you can find several herds occupying the same small area and the herd stallions seem to have a truce with each other as long as the another boy does not get too close to one of his mares. They also let young bachelors stay closer, as long as they behave themselves. It only happens for a short time and then they will disperse throughout their range. 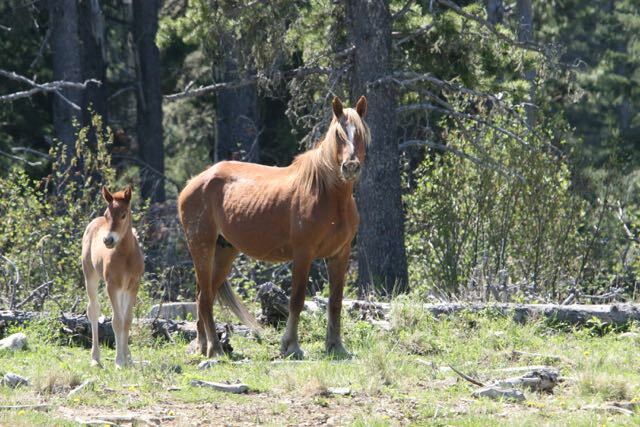 The foals that we have found and that were born this spring are doing well. 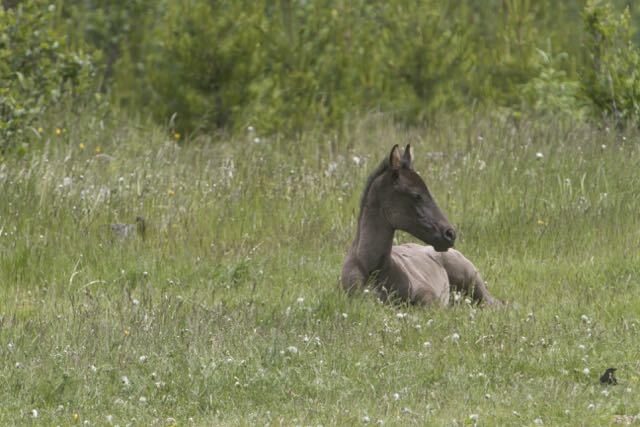 There’s an abundance of grass this year allowing all the horses and other wildlife to stay in prime condition. 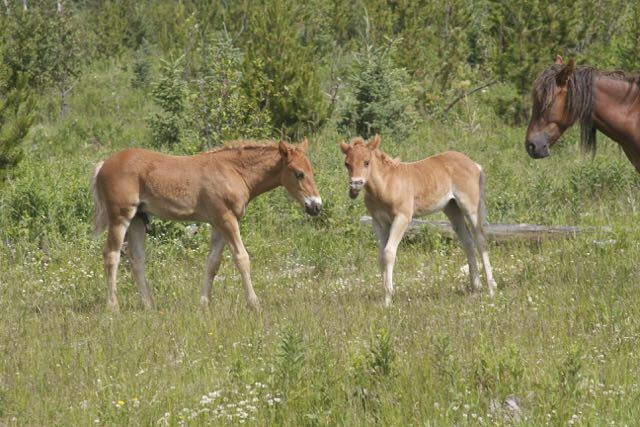 It is fun to watch the interaction of the siblings as well as the discipline that takes place by their moms or stallion when they stray too far away from their herd. 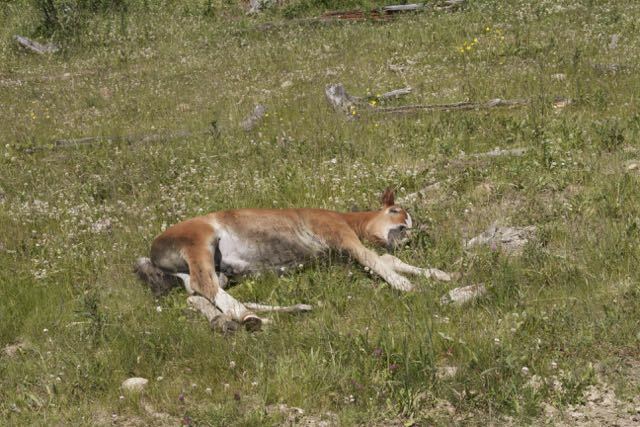 In the heat of the day the yearlings and adult horses go about their daily routines, you’ll often find the young ones snoozing in the sunshine. Caught this little boy right out of it. His herd had wandered off. Worried that maybe something was wrong, I approached right up to him looking to see if any of the mares would be looking for him. Nope! Standing close to him I softly talked to him and he opened his eyes and was not startled at all by my presence. He slowly stood up and started calling for his mom. I was sure relieved that he was okay. It was fun to watch this youngster using this bush to scratch his belly. As you can see it quickly drew the attention of two of his siblings who wanted to get in on the action. 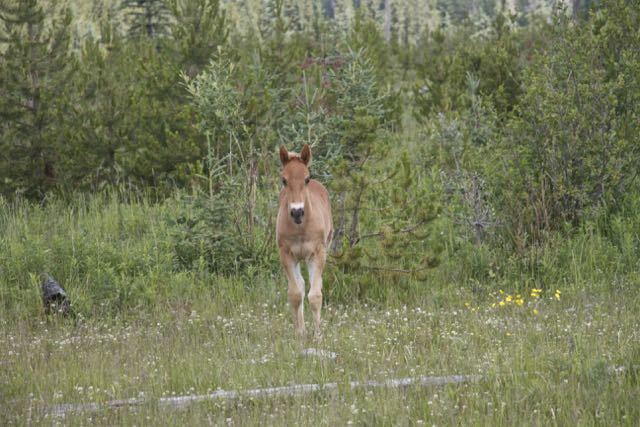 This little filly was so intent on watching us that she let her mom wander off. Here comes Mom to collect her wayward offspring. Look at me – I’m so beautiful! 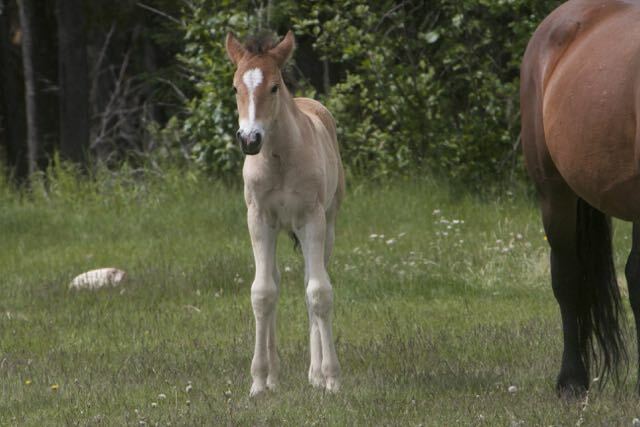 This is one of the younger foals we saw that day. 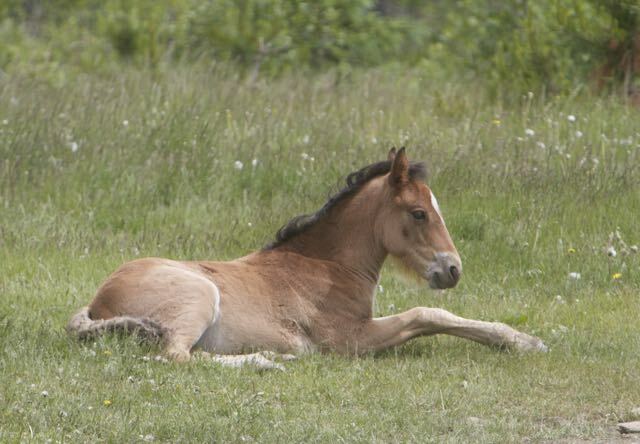 WHOAS has started our foal count from our study area using our volunteers. 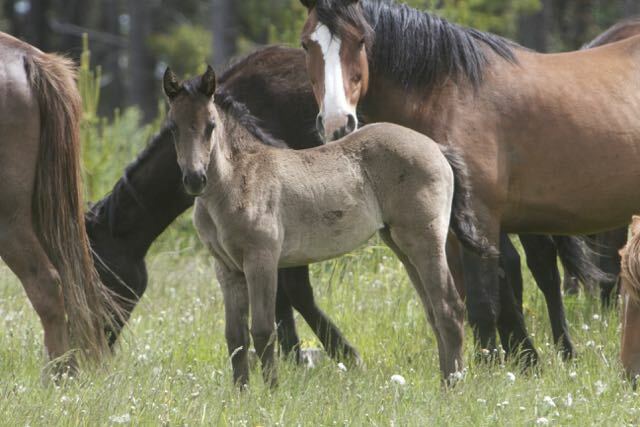 This type of information will be added to our database and will give us critical information about the total number of foals born and how many make it through their first year. In order to have any proper management strategy, this is the type of information that is needed. 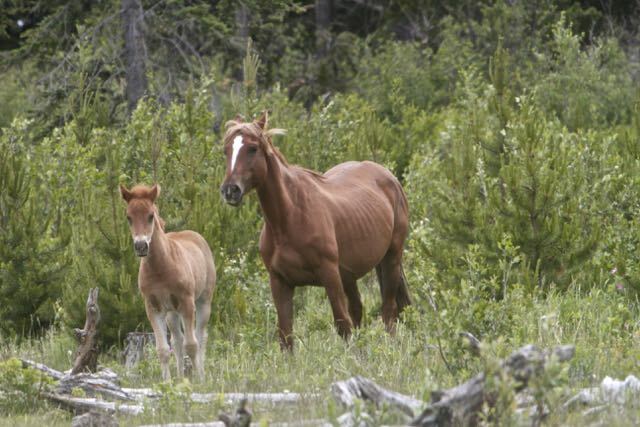 Thank you for the Amazing work, compassion and kindness you show to these innocent, gentle and majestic Animals.